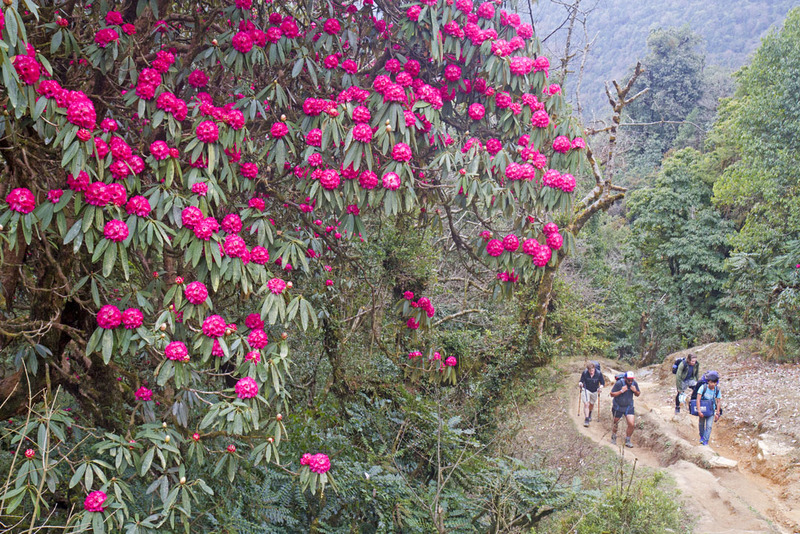 Spring in Nepal is rhododendron season, a time when massive forests bloom with the national flower. It’s arguably the most beautiful time to be trekking in the Himalayas, and on my third visit to the country I finally came in the time of rhododendrons. 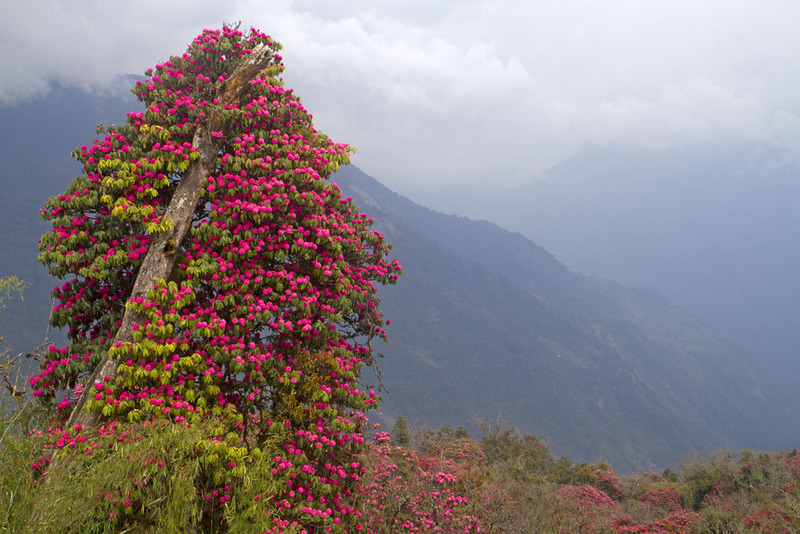 Nepal’s rhododendrons, of which there are around 30 species, are no ordinary shrub. Here they grow as forests, with trees climbing up to 20 metres in height. When they flower, it’s like spills of pink or red ink leaking across the slopes. Even walking within the forests, from where the flowers are less visible, the trees have a primeval, enchanted quality, with their skeletal limbs twisted, tortured and interlocked. 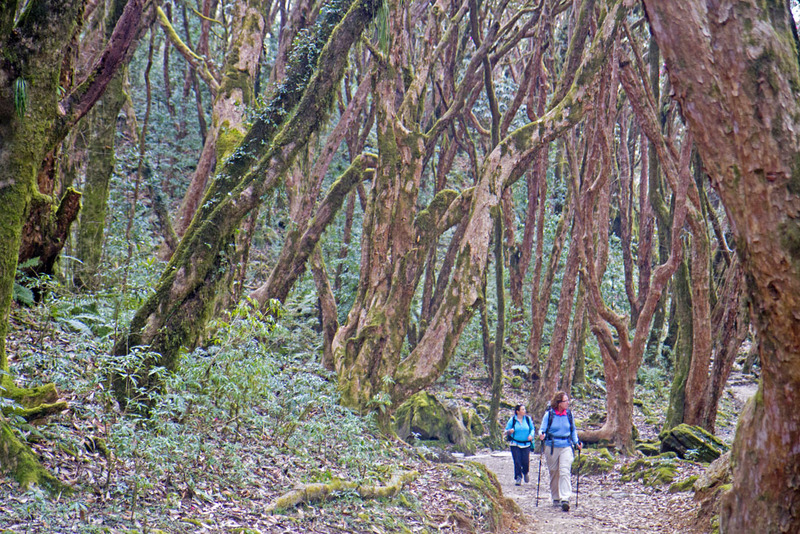 Rhododendron forest (above); hiking past flowering rhododendrons at Deurali, near Tadapani (below). 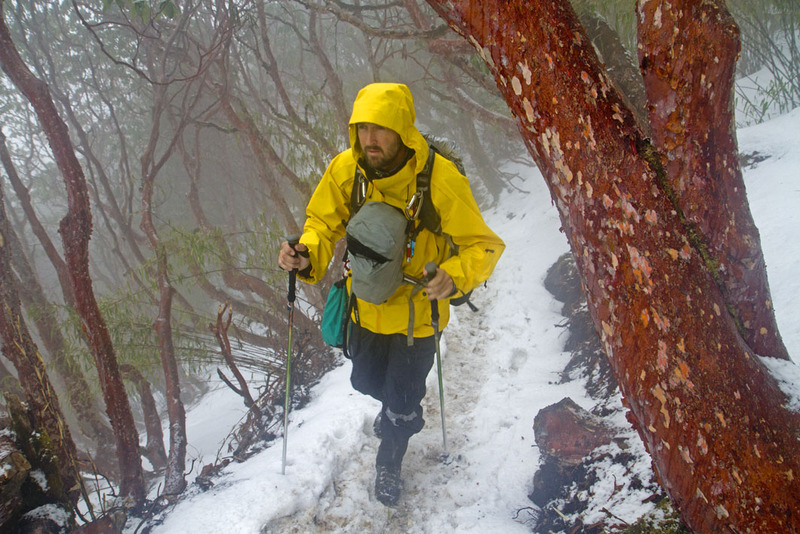 In the snows at higher altitudes, the papery trunks take on a vibrant rust-red or salmon colour, as if the trees are compensating for the fact that they’ll bloom much later. Climb on and the rhododendrons shrink to the sort of shrubs more recognisable in other parts of the world, before you finally step out into alpine country. When I arrived in Kathmandu early this month, I was told I’d come too early. Spring had barely sprung. I would get few or no flowers. But as I hiked through Dhampus, on the way into the Annapurnas, occasional trees lit up the ridge lines. 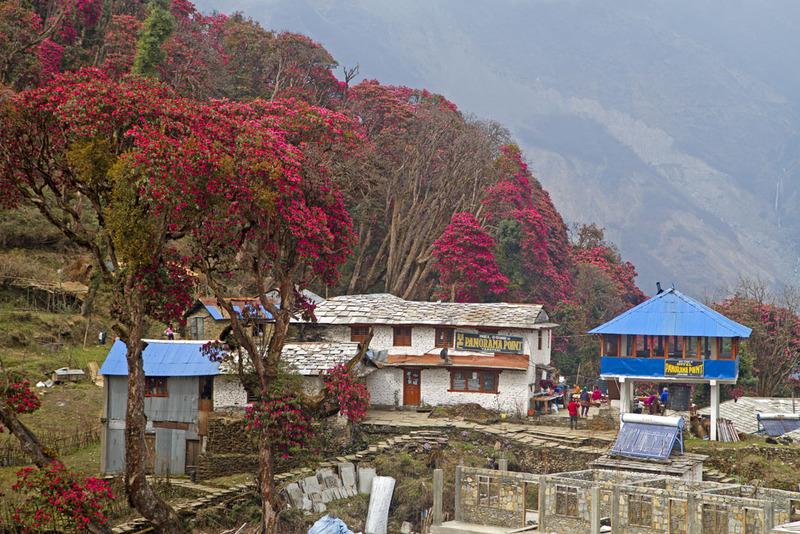 By the time I reached Tadapani (photographed below), a day’s walk past Ghandruk, the surrounding forest was a marshmallow of pink flowers. The changing climate in the Himalayas, I was told, had altered the season. Rhododendrons now typically flower earlier…but clearly no less beautifully. * Adventure before Avarice travelled to Nepal with World Expeditions. Gorgeous trees and flowers. Thanks for sharing your adventures Andrew. Thanks Brad – appreciate it. what a wonderful world – and your photos show it off brilliantly! Stunning! I’ve only been to Nepal once, many many years ago, but didn’t see this. Thanks for sharing. How gorgeous, Andrew! When I think Himalayas, I think snow, not dazzling blooms. Nice to learn something new! Thanks Jane. The snow will always win in my mind also when I think of reasons to go back to Nepal, but the rhododendrons really are stunning. Andrew – your photos capture the magic of those forests perfectly. Thanks for sharing. Cheers Donna, they really were beautiful, weren’t they? Wow! Definitely on my travel list. Great photos! Thanks. A beautiful spot at a beautiful time.